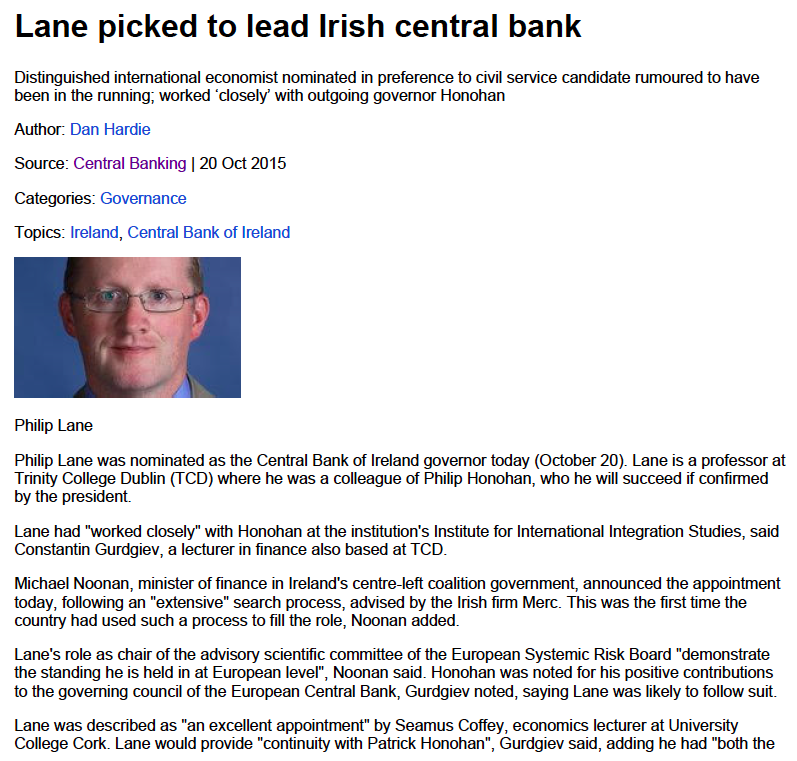 30/10/15: Why Economists Failed & What's Up With Irish Banking Reforms?.. 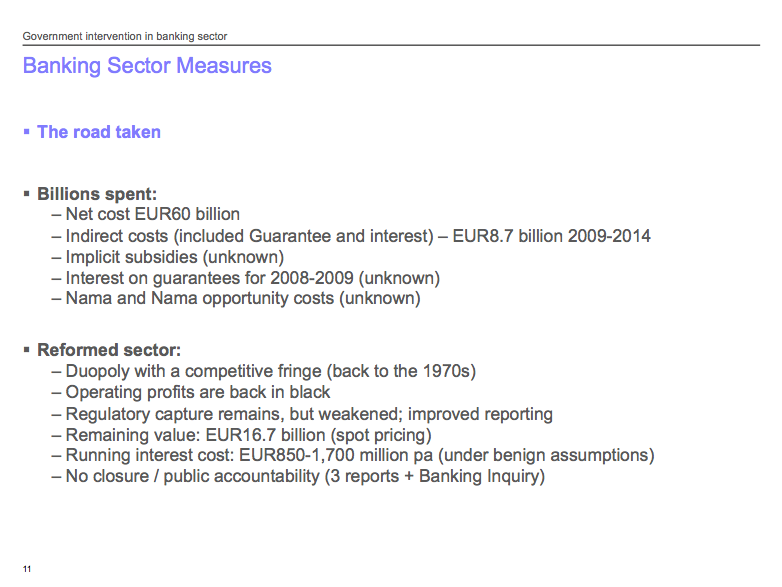 What is the state of play with Irish banking sector reforms? 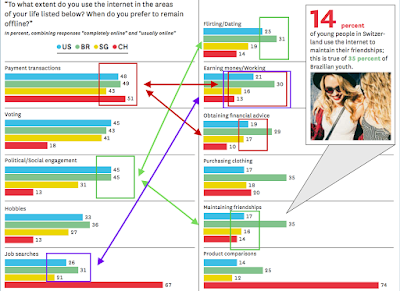 A very interesting Credit Suisse survey of some 1,000 people of the tail end of the millennial generation (age 16-25) across the U.S., Brazil, Singapore and Switzerland. Some surprising insights. The results are seriously strange. Around 48% of all respondents use internet for payments transactions, but only 19% on average use it for obtaining financial advice. 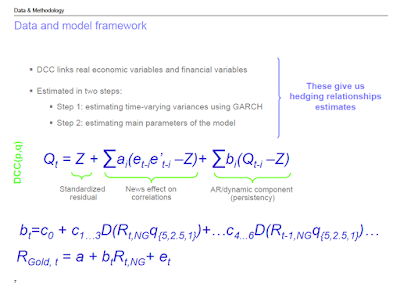 In other words, convenience drives transactions use, but not analytics demand. Meanwhile, on average just 20% use internet for earning money or working. 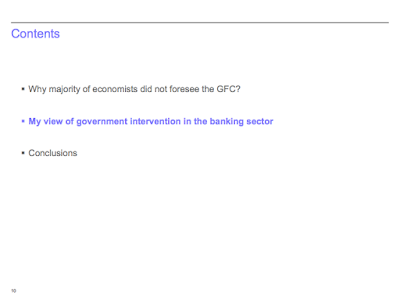 Which makes you wonder, what jobs (if any) do the respondents hold if only 1 in 5 use internet to execute it? And, furthermore, look at the percentages of respondents who use internet for job searches compared to earning money or working. Once again, something fishy. Internet use for political and social engagement heavily exceeds personal relations. And this is true for all countries surveyed. Which simply does not bear any relationship to young generation voting participation in the real world, but does match their responses to whether or not they use internet for voting. While responses across previous set of questions suggest that internet-based social (political / civic) engagements are more prevalent amongst the young respondents than personal engagements, there is the opposite view of internet as bearing personal benefits as opposed to social benefits. This is especially true in the U.S. and Switzerland, where the gap between those who think internet is a positive personal platform as opposed to social platform is 12-13 percentage points. Significant value to the power of engagement. 3) Ability to re-focus their business strategies on margin delivery. Otherwise, they will end up cannibalising themselves and destroying our - users’ - value. Eurocoin - a leading growth indicator for Euro area economy published by CEPR and Banca d'Italia - posted second consecutive monthly decline in October, falling to 0.36 from 0.39 in September and down from the recent peak of 0.43 registered in August. 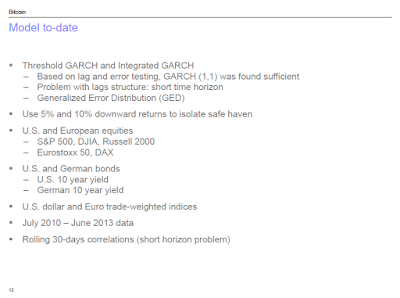 This is the weakest reading for the indicator in 6 months. 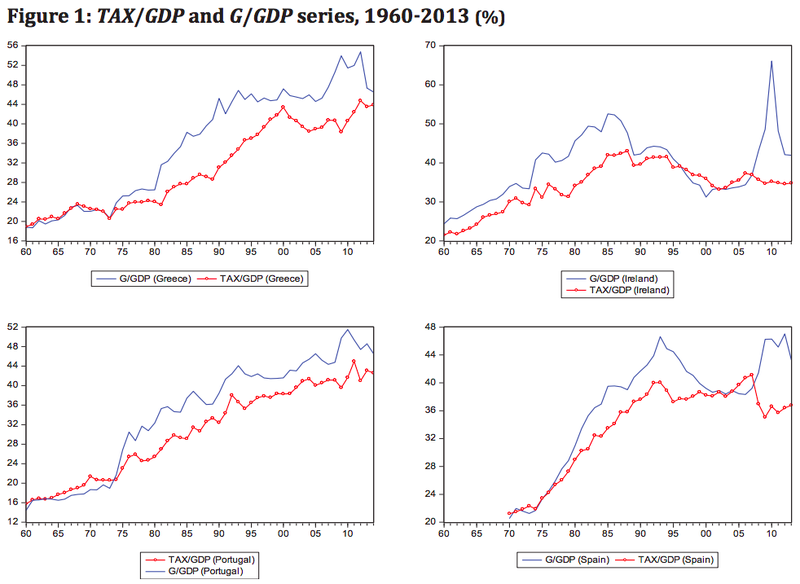 While in historical terms, growth signal of 0.36% (and annualised average over the last 12 months of 1.58%) is above long term average (annualised average growth over the last 15 years of 1.03% or over the last 5 years of 0.57%), growth remains anaemic by all possible comparatives beyond the Euro area. You can see the less than pleasant specifics on eurocoin drivers for October here: http://eurocoin.cepr.org/index.php?q=node/243. In the nutshell, things are static across all major sectors, with households' optimism is largely flattening; and if we ignore the European Commission survey signals, things are poor for the industrial sector. 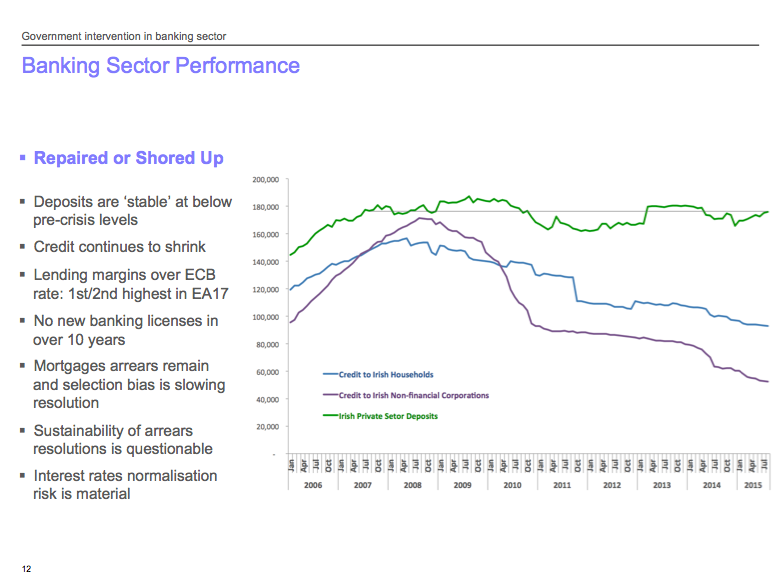 I have not been tracking more recent changes in Irish banking sector aggregate balance sheets for quite some time now. 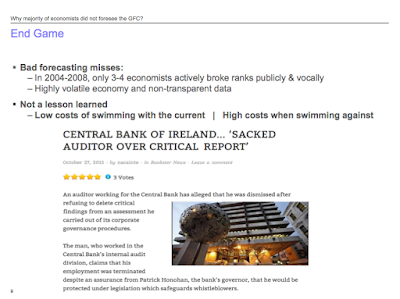 However, preparing for a brief presentation on Irish banking crisis earlier this week, I had to update some of my charts on the topic. Here is some catching up on these. 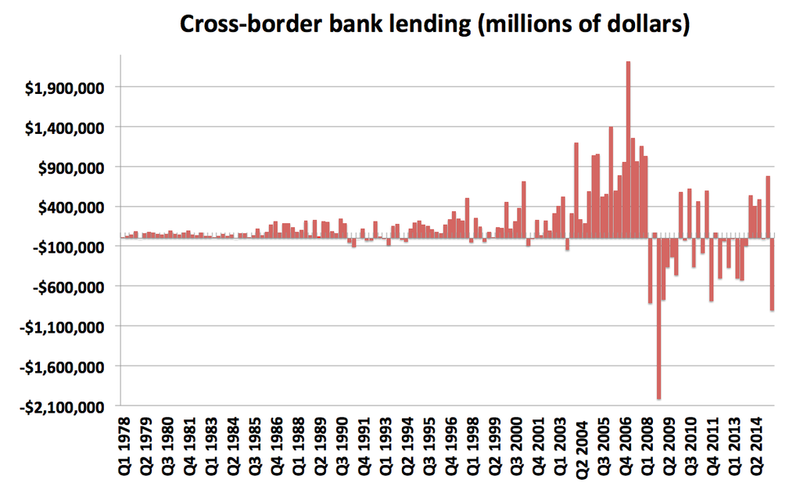 Take a look at Central Bank’s data on credit and deposits in Irish banking system. These figures incorporate declines in both due to sales of loan books by Irish banks, so step-changes down on credit lines reflect primarily these considerations. 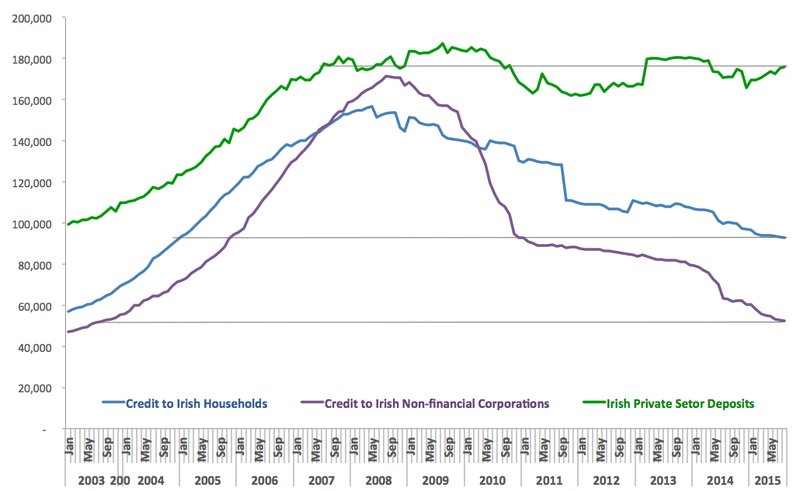 As superficial as the numbers become (in this case, the aggregate numbers no longer fully reflect the true quantum of debt held against Irish households and companies), there are some positive trends in the figures. 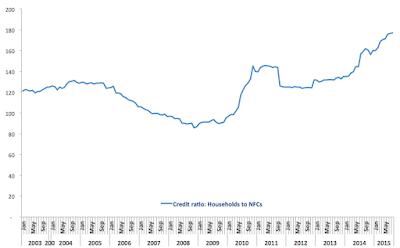 Over the 3 months through August 2015 Irish households have reduced the level of outstanding debt by some 7.1% compared to the same 3mo period in 2014. Total level of household debt now stands at the average of December 2004-January 2005. This is a massive reduction in debt burden, achieved by a combination of repayments, defaults and sales of loans to non-banking entities (e.g. 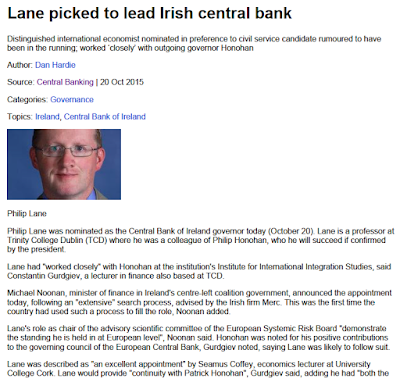 vulture funds). However, loans for house purchases have declined by a more moderate 4.5% over 3mo through August 2015 compared to the same period in 2014. This brings current pile of house mortgages outstanding to the average level of February-March 2005. Which is impressive, but, once again factoring in the fact that quite a bit of these reductions was down to defaults and sales of loans, the overall organic deleveraging has been much slower than the chart above indicates. Over the last 3 months (though August 2015), total volume of household debt declined, driven down by deleveraging in mortgages debt and ‘other debt’ against a modest increase in consumer credit. 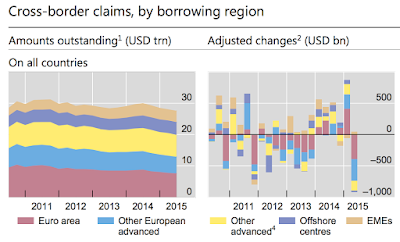 It is interesting to note that over the last 12 months (based on 3mo average), volume of ‘other loans’ has dropped by a massive 38%, suggesting that this category of credit is now also subject to superficial debt reductions, for example originating from insolvencies and bankruptcies. For the record, there are at least three highly questionable reductions in recorded household debt on record: November-December 2010 drop of EUR7.5 billion, September-October 2011 drop of EUR17.2 billion, and May-June 2014 decline of EUR4.1 billion. 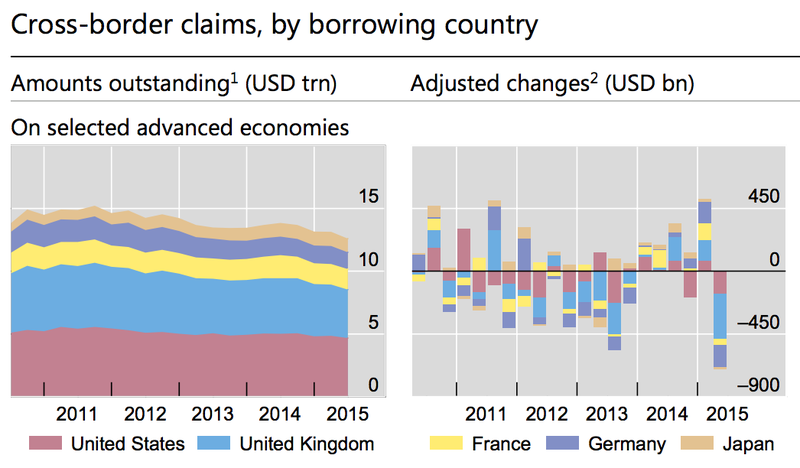 This suggests that the official accounts of household deleveraging may be overstating actual degree of deleveraging by upwards of EUR28 billion which could bring our debt levels back to September-October 2011 and signify little material reduction in total debt over recent years. Over the 3 months through August 2015, loans outstanding to the Non-financial corporations in Ireland fell 19.4% compared to the same period average in 2014. Most of this decline was driven by the 19.5% drop in loans, with debt securities outstanding declining by only 5.7%. This marks 12th consecutive month of m/m declines in credit outstanding to the corporate sector. Current level of corporate credit brings us back to the levels last seen in 3Q 2003. Just as with households there are at least 3 episodes of significant declines in credit volumes since the start of the Global Financial Crisis, although the path for corporate loans has been more smooth overall than for household debt. This suggests that banks have prioritised resolving corporate arrears over household arrears, as consistent with 2011 PCAR strategy that also prioritised corporate loans problems. Total credit outstanding to the real economy (excluding Government and financial intermediaries) has fallen 12% y/y in the three months through August 2015. 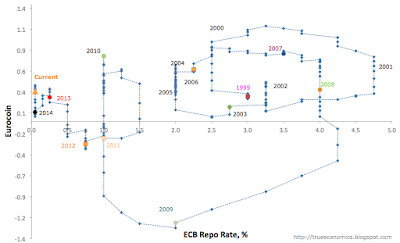 The official register now stands at EUR145.3 billion, a level comparable to the average for June-July 2004.The truly miraculous thing is that, given these levels of deleveraging, there is no indication of severe demand pressures or significant willingness to supply new credit. 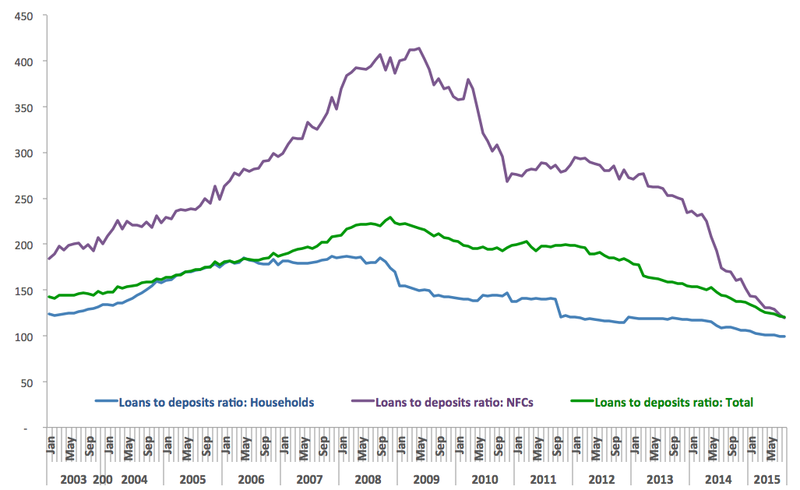 As shown in the chart below, Irish banking sector overall has been enjoying steadily improving loans to deposits ratios. Over the July-August, household loans to deposit ratios dropped to 99% - dipping below 100% for the first time since the Central Bank records began in January 2003. 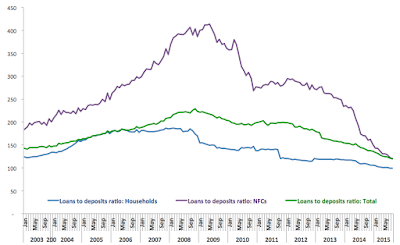 Loans to deposit ratio for non-financial corporates declined to 120% also the lowest on record. 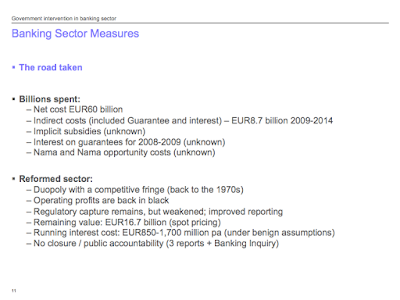 However, this indicator is of doubtful value to assessing the overall health of the financial sector in Ireland. To see this, consider the following two facts: household loans/deposit ratios have been below pre-crisis lows since October 2011, while corporate loans/deposits ratios have been below pre-crisis lows since July 2014. Reaching these objectives took some creative accounting (as noted above in relation to loan book sales), but reaching them also delivered practically no impetus for new credit creation. 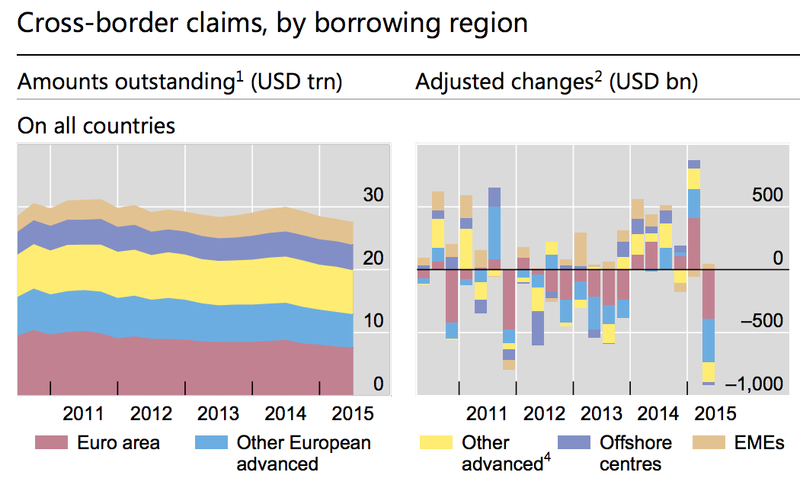 In other words, deleveraging to-date has had no apparent significant effect on banks willingness to lend or companies and households willingness to borrow. 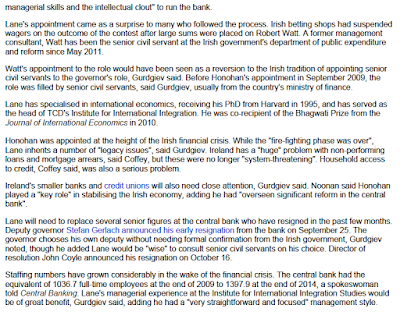 By standards set in PCAR 2011, Irish banks have been largely ‘repaired’ some months ago. 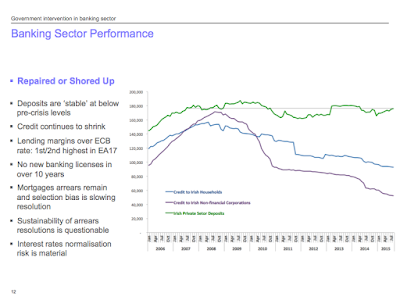 By standards set in PCAR 2011, Irish banks are yet to start their ‘participation in the economy’. 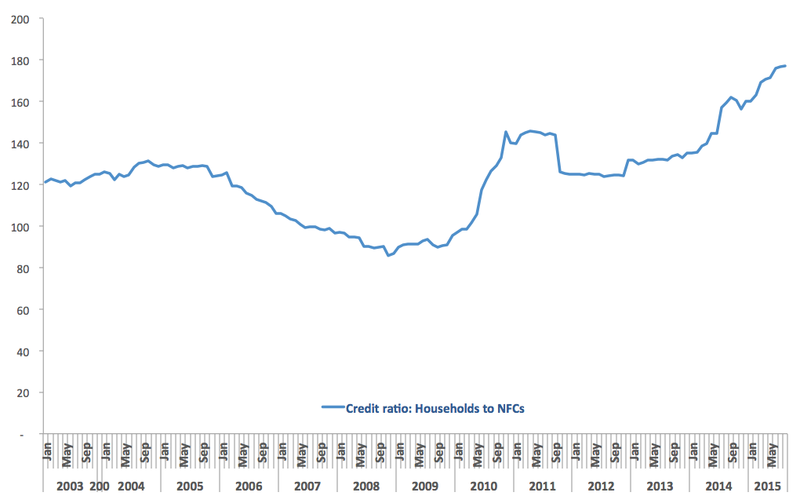 As the above clearly shows, Irish banking system is nothing, but a glorified Credit Union, with credit outstanding ratio for household relative to corporates at a whooping 177%. 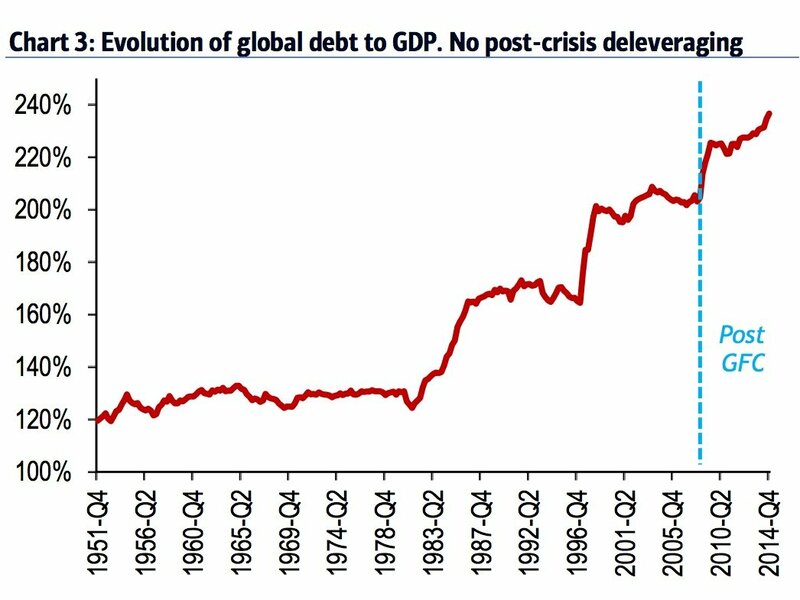 This, again, highlights the simple fact that during this crisis, banks prioritised deleveraging of corporate debt and lagged in deleveraging household debt. 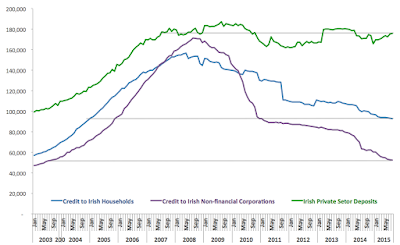 Irish economic debt burden, thus, has shifted decisively against households. Someone (you and me - aka, households) will have to pay for the loans write downs granted to companies over the years. And the banks are betting the house (our houses) on us being able to shoulder that burden. Remember how in recent months, on foot of an uproar in the U.S. and across the EU, Irish Government has told us that there will be no ‘harmful’ corporate inversions? In other words, there will be no redomiciling of the U.S. companies into Ireland purely for tax purposes? 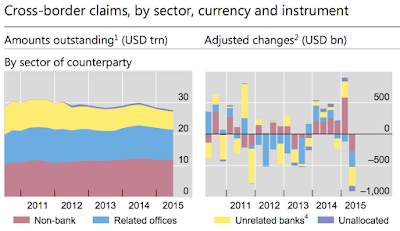 Updating Russian stats: September consumption and deleveraging: bigger clouds, brighter silver lining. In basic terms, as reported by BOFIT, per Rosstat, Russian seasonally-adjusted retail sales (by volume) fell more than 10% y/y in September, with non-food sales driving the figure deeper into the red. On the ‘upside’, services sales to households fell less than overall retail sales. This accelerates the rate of decline in household consumption expenditure - over 1H 2015, expenditure fell just under 9% y/y. 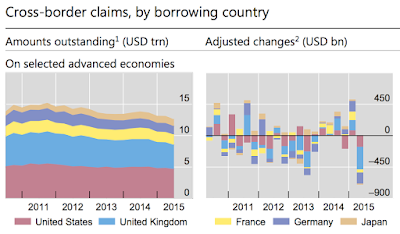 Small silver lining to this cloud is that household debt continued to decline as Russian households withdrew from the credit markets and focused on increased savings (most likely precautionary savings). 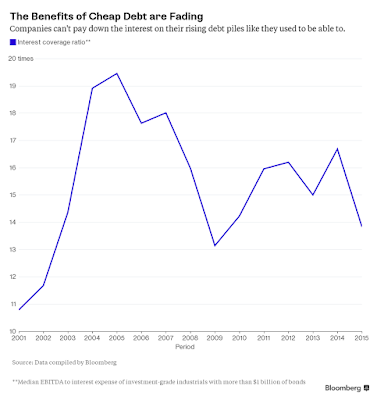 Russian households are not the only ones that are saving. 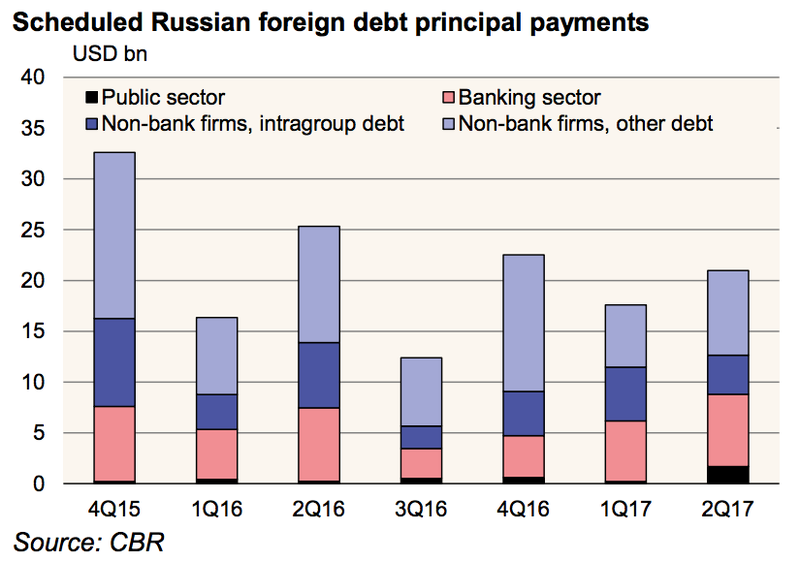 Overall external debt of the Russian Federation fell, again, in 3Q 2015, with preliminary data from the Central Bank of Russia figures putting total foreign debt at USD522bn as of end-September, down just over USD30bn compared to 2Q 2015. 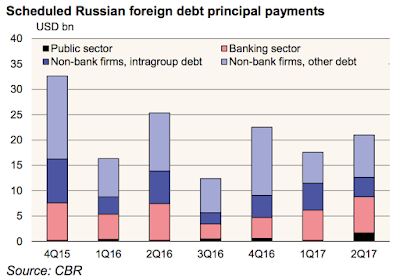 Per official estimates, ca 50 percent of the overall reduction q/q in external debt came from repayment of credit due, while the other 50 percent was down to devaluation of the ruble (ca 20 percent of Russian external debt was issued in Rubles). 2) increasing conversion of intra-group investments/equity into intragroup debt (and/or some conversion of FDI equity into intra-group debt). Over the next 12 months (from the start of 4Q 2015), Russian foreign debt maturity profile covers USD87 billion in maturing obligations against country currency reserves of USD370 billion-odd. As noted by BOFIT, “A common rule-of-thumb suggests that a country’s reserves need to be sufficient to cover at least 100% of its short-term foreign debt to avoid liquidity problems.” Russia’s current cover is closer to 430%. And that is absent further ruble devaluations. 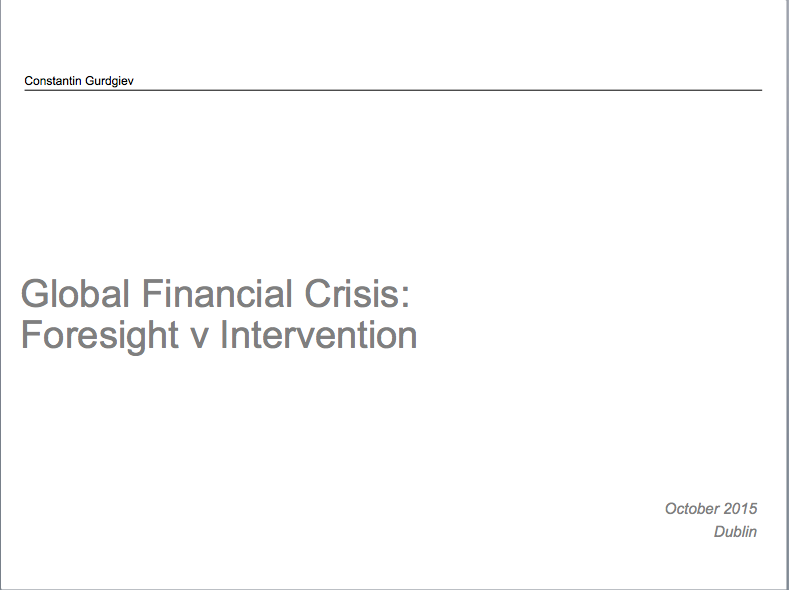 My outlook for investment markets - interview at IG Summit https://www.ig.com/uk/live-video?bctid=4581832859001&bclid=3671160850001. Over recent months, I warned about the weakening liquidity in the global markets in my column for the Village Magazine, for the Manning Financial newsletter. 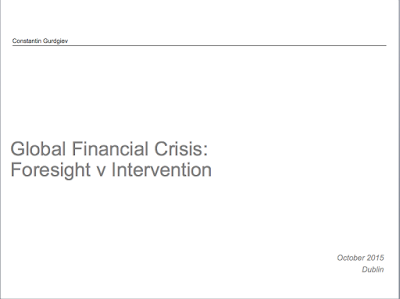 And I covered the topic in my analysis of both the IMF WEO/FSR updates for October. 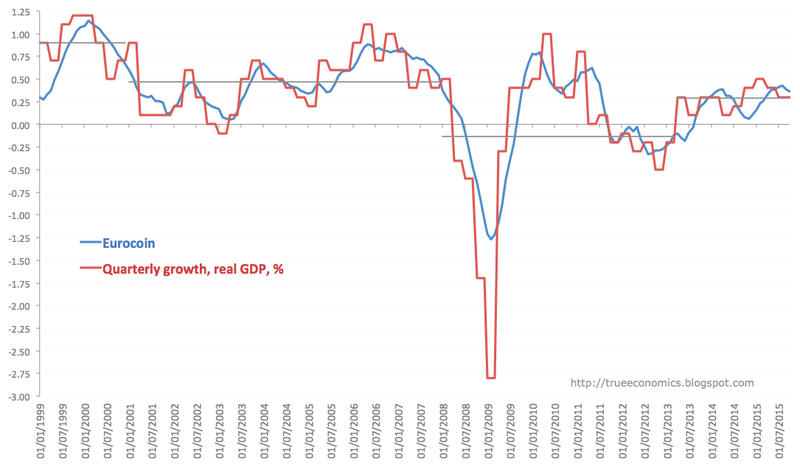 The problem continues to persist despite monetary policy remaining accommodative. 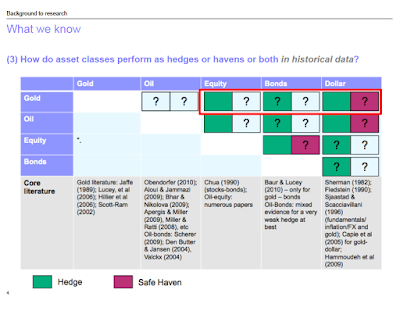 Per Credit Suisse report (emphasis is mine): “While bid-ask spreads for sovereign and corporate bonds in the U.S. and Europe have narrowed significantly from the wide gulfs of 2008, they are still well above their pre-crisis lows. Sovereign bond markets have also become shallower since the U.S. Federal Reserve began tapering its asset purchases in 2014 – and even markets that look deep based on trading volume can bottom out fast during bouts of volatility." 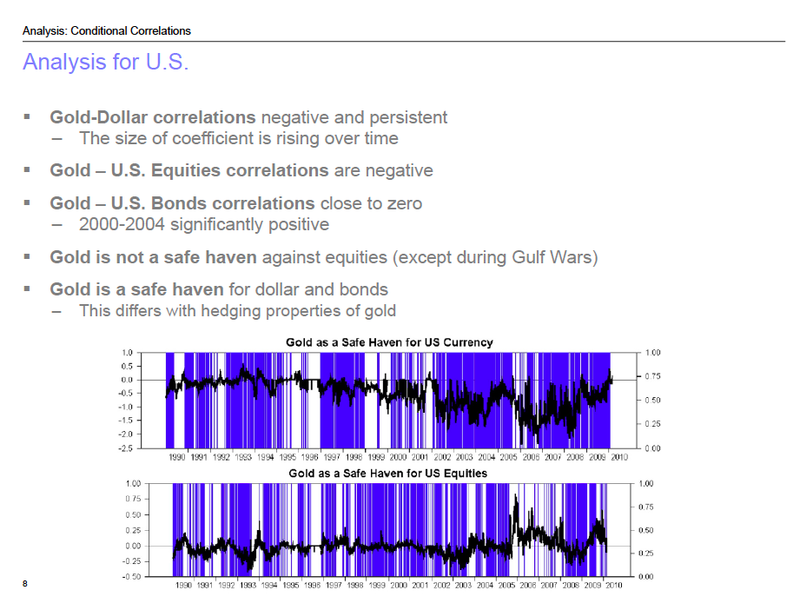 In simple terms, all of this indicates that the old regime of ever-expanding liquidity conditions in the markets that prevailed over two decades preceding the Global Financial Crisis are no longer with us. Which is the same as saying that one a drug addiction kicks in, the highs of each subsequent hit tend to become replaced by the lows of each crash. 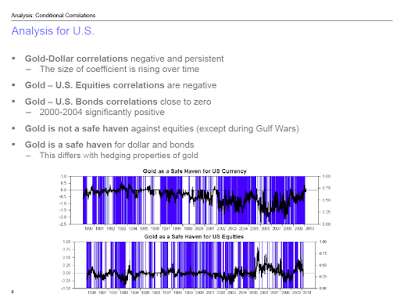 all signal more instability linked to liquidity pressures in the markets in the future. Not less. 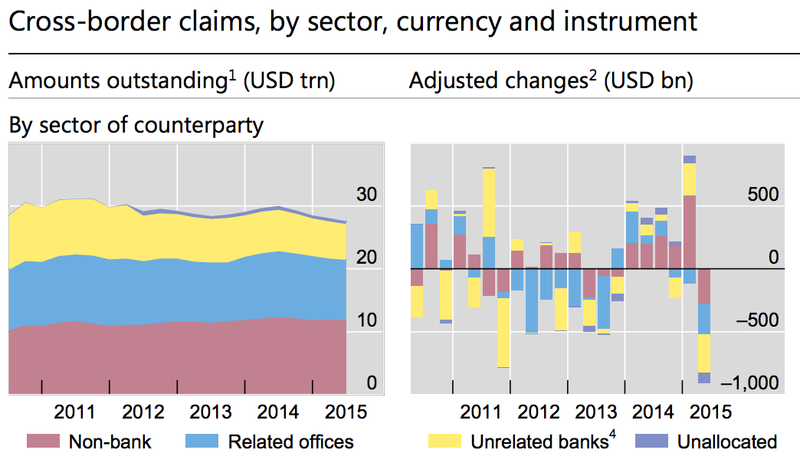 Which is all fine and dandy, except the entire promise of the global financial reforms post Global Financial Crisis has been to lower that said structural instability. Which is to remind us all that the road to hell is so often paved with good intentions. 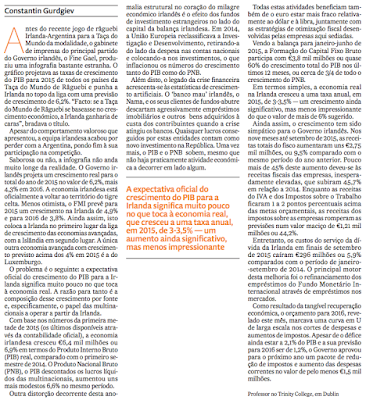 1) By Ambrose Evans-Pritchard, the headline that says most of it: “Eurozone crosses Rubicon as Portugal's anti-euro Left banned from power” with a sub-head that says the rest: “Constitutional crisis looms after anti-austerity Left is denied parliamentary prerogative to form a majority government”. Key quote (emphasis is mine): “For the first time since the creation of Europe’s monetary union, a member state has taken the explicit step of forbidding eurosceptic parties from taking office on the grounds of national interest. 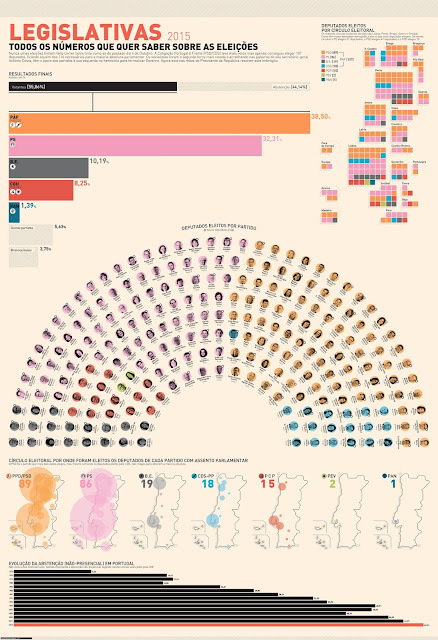 Anibal Cavaco Silva, Portugal’s constitutional president, has refused to appoint a Left-wing coalition government even though it secured an absolute majority in the Portuguese parliament and won a mandate to smash the austerity regime bequeathed by the EU-IMF Troika.” Read the rest here. 2) By Chris Hanretty (University of East Anglia) sums up the facts about the President Silva decision that contrast with the common narrative that the President has forbidden Eurosceptic parties from gaining power. 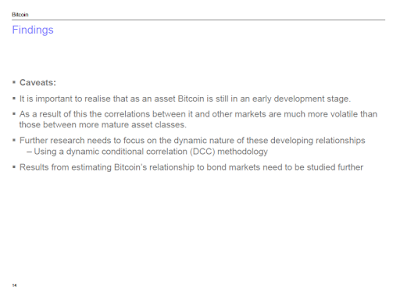 Read his points here. 3) And a view from Portugal’s president which clearly postulates the primary reason for his decision to re-appoint Prime Minister, Dr. Pedro Passos Coelho was the objective of ensuring continuity with Portugal’s commitments to the Troika and stability of policy formation. The considerations of democratic traditions and rules were instrumental to that primary objective. And another fact that is beyond any doubt: Portugal’s electorate is split. Very seriously split. And there is little hope of consensus emerging any time soon. An interesting set of contrasts: one company, one move, two reports. 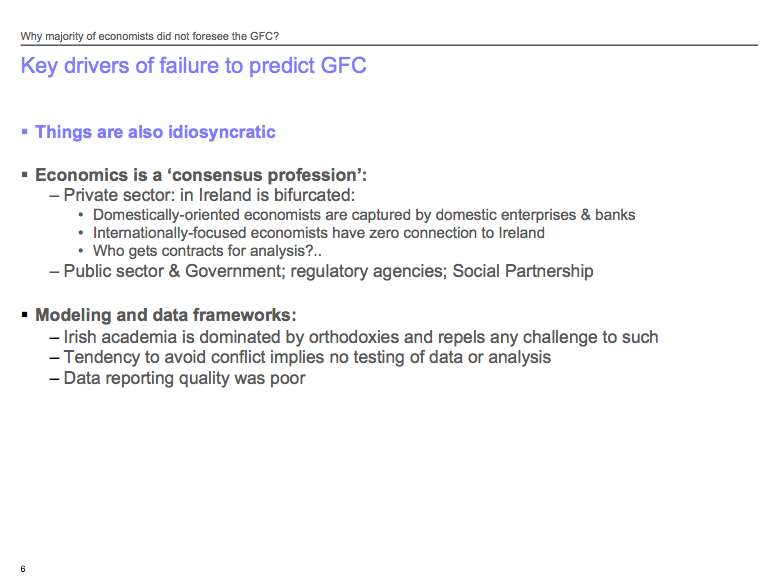 - One from Ireland (http://www.irishtimes.com/business/health-pharma/spanish-healthcare-firm-grifols-to-create-140-jobs-1.2401541) without a single mentioning of tax issues. 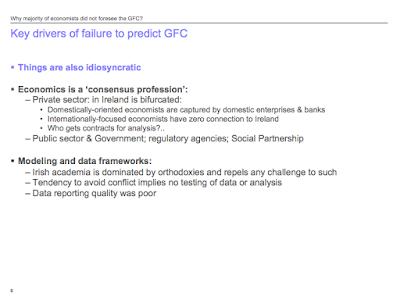 You can also see this one from the Irish Examiner (http://www.irishexaminer.com/business/grifols-creates-140-jobs-in-dublin-360972.html) which also fails to mention tax issues. 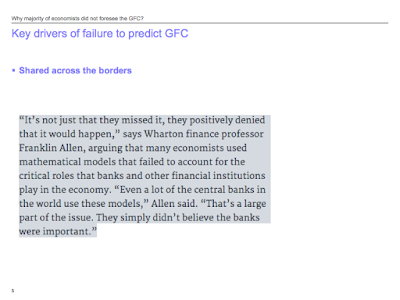 Spanish report quotes Grifols CFO on the issue of tax optimisation. 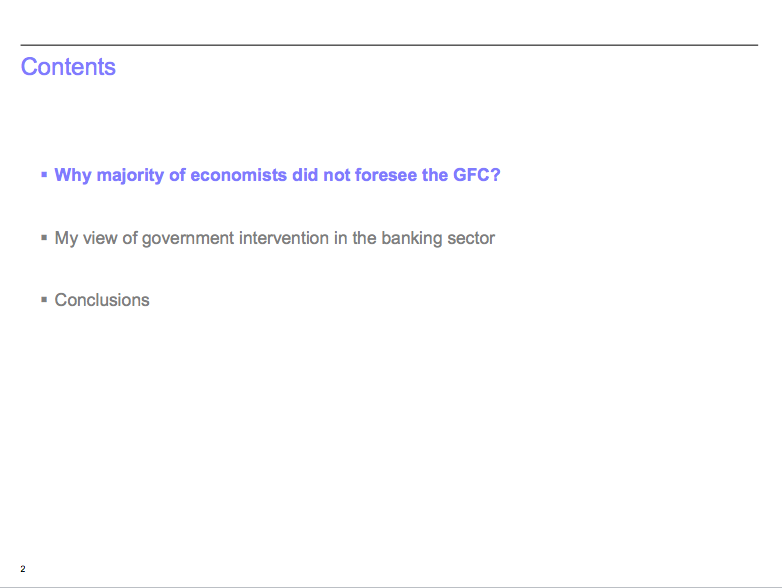 Irish reports say absolutely nada about the topic. 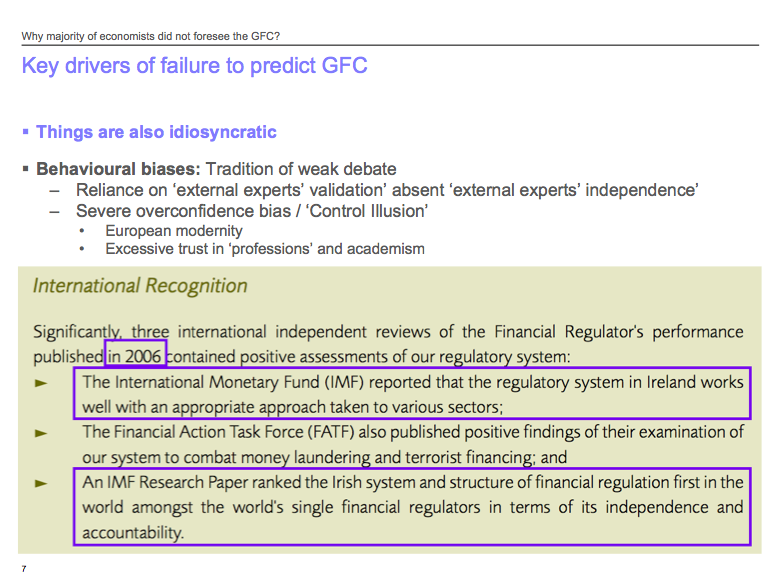 Spanish report references the statement that Grifols will channel all of its non-Spanish and non-US revenues via Ireland (a practice used for tax optimisation by many MNCs based here). But both Irish reports linked above fail to mention this quite material fact. Yep, that's right. In the economy repaired by multiple countries surrenders to the IMF, years of massive QEs, the printing presses perpetual overheating and all other policy shenanigans, 2Q 2015 has seen the sharpest decline in cross border lending by the banks in history of the series (from 1978 on). 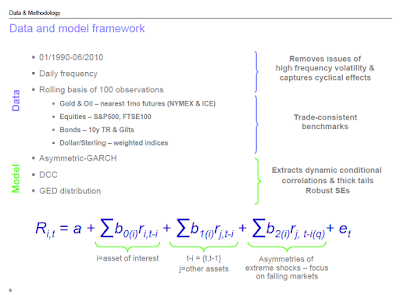 So when some time ago I described the state of play in the global economy as being Japanified, I wasn't kidding. The monetary policy dream of 'repairing' credit flows by making credit dirt cheap has had... well... at best an underwhelming effect. 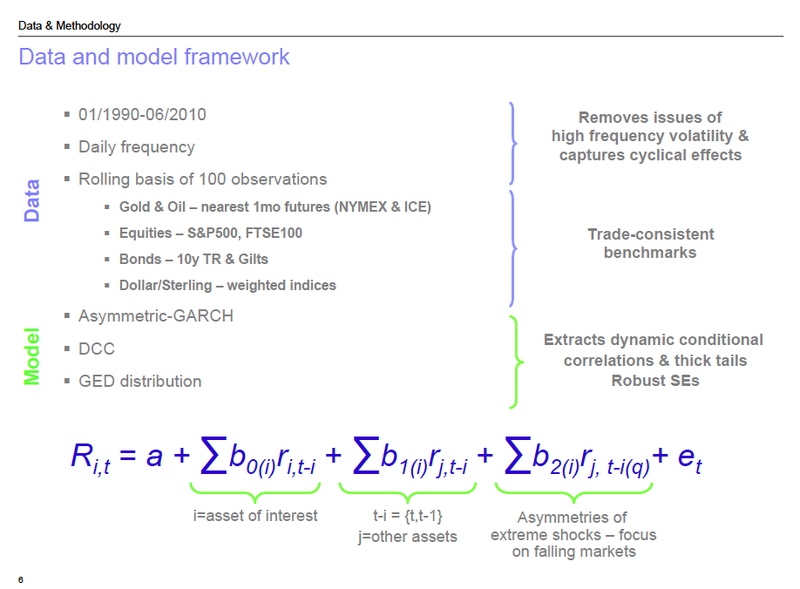 Time to think about actual, real, economic demand, maybe?.. In a couple of weeks, I will be speaking about the role of human capital in the emergence of the new economy at the CXC Corporate event “Globalization & The Future of Work Summit” in Dublin. 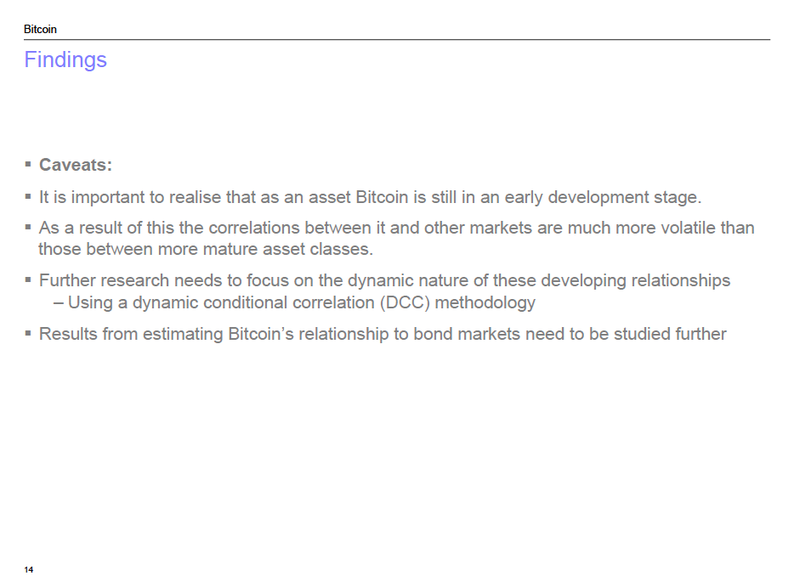 Without preempting what I am going to say, here are some key points of interest. Human capital-centric growth is overlapping, but distinct from the so-called “Gig Economy”, primarily because of the different definition of what constitutes two respective workforces. The respective numbers engaged in three categories in 2014 range between 20.5 million and 29.7 million with growth rates over the recent years outpacing economy-wide jobs expansion rates across all categories of the Gig Economy workers. Still, the key problem with identifying underlying trends in the development of the Gig Economy is the lack of data on specifics of occupational choices of the self-employed individuals and the relationship between these choices and human capital held by the Gig Economy participants relative to the traditional employees. To see the indicators of links between the Gig Economy and human capital, we have to look at the more established literature concerning transition to entrepreneurship. One interesting set of studies here comes from the Italian Survey of Household Income and Wealth (SHIW), a large biannual household survey conducted by the Banca d’Italia. A 2007 paper by Federici, Ferrante and Vistocco looked at the links between institutional structures, technological innovation and human capital in determining the propensity to transition from employment to entrepreneurship. Looking at the general literature on the subject, the authors state that “…institutions are more important than technology (i.e., technological specialization and/or industry composition) in fostering or restricting entrepreneurship and that the interactions between institutions and occupational choices may be complex and non linear”. The authors caution against directly linking self-employment rates with entrepreneurship rates, as “countries displaying the same self-employment rates, might be endowed with very different amounts and qualities of entrepreneurial skills devoted to innovation and business ventures (or, on the other hand, they might not)”. The conclusions are strong: “in Italy, both institutional and technological factors have shaped entrepreneurial opportunities requiring, tacit knowledge embedded in social networks and in the cultural background of families… Hence, well-educated people lacking privileged access to tacit knowledge and, in particular, an appropriate family background, could find themselves up against a considerable barrier to entrepreneurship and occupational mobility.” In simple terms, the Gig Economy-related value added can and should be considered within the context of family and cultural institutions as much as technological enablement environment. As per traditional metrics of human capital, the study conclusions appear to be contradicting the core literature on entrepreneurship. “The evidence of the highly significant negative role of education in entrepreneurial selection is very strong in comparison with the majority of international studies showing that education has either a positive impact (Blanchflower, 1998) or a statistically non-significant effect on occupational choices”. In other words, formal education seems to be more conducive to employment choices in traditional environments (e.g. full time jobs),w it exception, perhaps, of professional skills-based activities. The negative links between education and propensity to engage in entrepreneurial activity is, however, in line with other Italian study based on the same data, authored by Sabatini (2006). However, U.S. data-based studies frequently find existence of a U-shaped relationship between income and propensity to transition to self-employment, with highest propensities concentrated around low income earners and high income earners, while lower propensities occurring for middle income earners. One recent example of this evidence is Moutray (2007). In so far as formal education is an instrument for income, especially for sub-populations excluding very high income earners, this suggests that the negative relationship between self-employment and education found in the case of Italy can be culturally conditioned and does not translate to other economies. 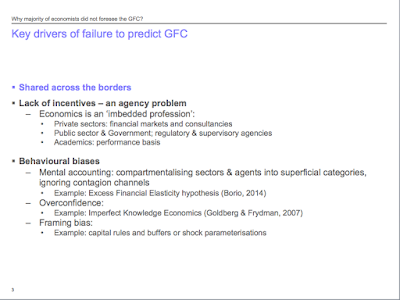 The authors found that human capital is “positively correlated with new business entry in Knowledge intensive sectors”, but at the same time, it is “negatively correlated with new startups in non-knowledge intensive sectors”. Per authors: “This finding suggests that while entrepreneurship in knowledge based and creative industries requires highly skilled labour, in non knowledge based industries, low skilled labour is the primary determinant of new firm creation. Our findings also appear to suggest the need for higher skills/educated base in order to boost the growth of new businesses” in high knowledge-intensity sectors. Werner and Moog (2009) use data from the German Socio-Economic Panel (SOEP) to map out significant linkages between entrepreneurial learning (and entrepreneurial human capital) and the probability of transition from traditional employment to self-employment. One interesting aspect of their findings is that learning-by-doing occurring (in their sample) during tenure of working for an SME has positive impact on ability to transition to entrepreneurship, confirming similar findings from other European countries. This also confirms findings that show that working for SMEs results in more frequent exits into self-employment and that such exits more frequently result in transition to full entrepreneurship than for self-employment entered from employment in larger firms. The learning-by-doing effect of pre-transition experience for starting entrepreneurs and self-employed is also confirmed by the UK study by Panos, Pouliakas and Zangelidis (2011) who looked at the self-employment transition dynamics for individuals with dual job-holding and the links between this transition and human capital and occupational choice between primary and secondary jobs. The study used a wide (1991-2005) sample of UK employees from the British Household Panel Survey (BHPS). The authors investigated, sequentially, “first, the determinants of multiple job-holding, second, the factors affecting the occupational choice of a secondary job, third, the relationship between multiple-job holding and job mobility and, lastly, the spillover effects of multiple job-holding on occupational mobility between primary jobs.” The findings indicate that “dual job-holding may facilitate job transition, as it may act as a stepping-stone towards new primary jobs, particularly self-employment.” An interesting aspect of the study is that whilst the major effects are present in the lower skilled distribution of occupations, there is also a significant and positive effect of dual-jobs holding on transition to self-employment for professional (highly skilled) grade of workers. Finally, there is a very interesting demographic dimension to transition to self-employment, explored to some extent in the U.S. data by Zhang (2008). The paper focused on the topic of elderly entrepreneurship. The author conjectures that in modern (ageing) demographic setting, “the “knowledge economy” could elevate the value of elderly human capital as the “knowledge economy” is less physically demanding and more human-capital- and knowledge-based.” Zhang (2008) largely finds that professional, skills-based self-employment and entrepreneurship amongst the older generations of workers can act as an important force in reducing adverse impact of ageing on modern economies. The common thread connecting the above studies and indeed the rest of the vast literature on entrepreneurship, self-employment and transition from traditional employment to more projects-based or client-focused forms of engagement in the labour markets is increasingly shifting toward the first type of the ‘Gig Economy’ engagement. 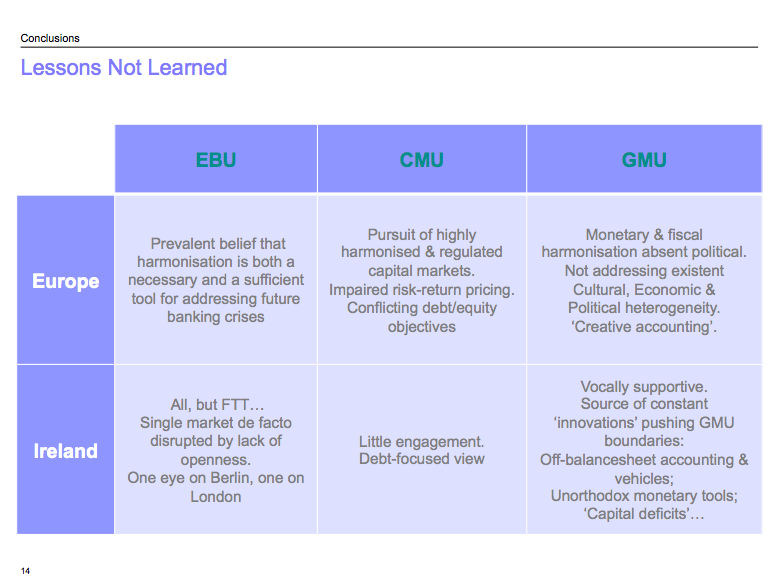 This typology of the ‘Gig Economy’ is becoming more human capital and skills-intensive and is better aligned with the ‘knowledge economy’ and the ‘creative economy’ than ever before. In simple terms, therefore, the ‘Gig Economy’ not only reaches deeper than the traditional view of the shared services (Uber et al) growth trends suggest. While both increasing in importance and broadening the set of opportunities for economic development, the modern ‘Gig Economy’ is presenting significant challenges to social, cultural and policy norms that require swift addressing. These challenges are broadly linked to the need to Create, Attract, Retain and Enable key human capital necessary to sustain long term development and growth of the ‘Gig Economy’. 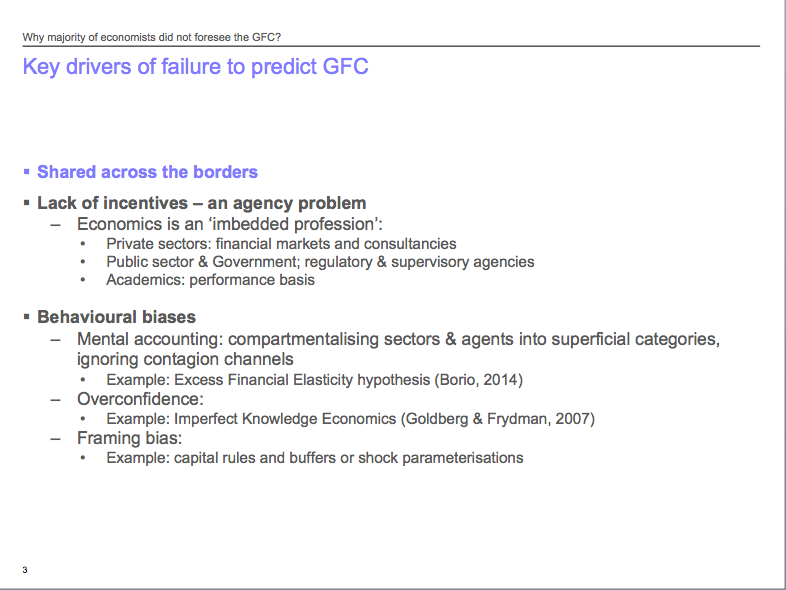 With that, tune in to my talk at the CXC Corporate event “Globalization & The Future of Work Summit” (link: http://cxccorporateservices.com/cxc-future-of-work/) in few weeks time for the details as to what should be done to put global ‘Gig Economy’ onto the sustainable development and growth track. Moutray, Chad M., "Educational Attainment and Other Characteristics of the Self-Employed: An Examination Using Data from the Panel Study of Income Dynamics" (December 11, 2007). 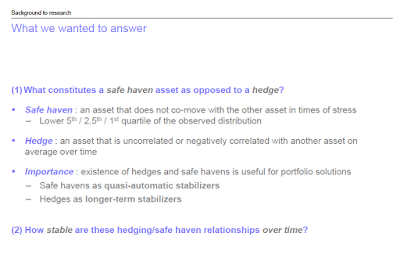 Hudson Institute Research Paper No. 07-06. Mitra, Jay and Abubakar, Yazid, "Entrepreneurial Growth and Labour Market Dynamics: Spatial Factors in the Consideration of Relevant Skills and Firm Growth in the Creative, Knowledge-Based Industries" (August 23, 2011). University of Essex CER Working Paper No. 1. Werner, Arndt and Moog, Petra M., "Why Do Employees Leave Their Jobs for Self-Employment? – The Impact of Entrepreneurial Working Conditions in Small Firms" (November 1, 2009). Panos, Georgios A. and Pouliakas, Konstantinos and Zangelidis, Alexandros, "Multiple Job Holding as a Strategy for Skills Diversification and Labour Market Mobility" (August 23, 2011). University of Essex CER Working Paper No. 4. Zhang, Ting, "Elderly Entrepreneurship in an Aging U.S. Economy: It's Never Too Late" (September 8, 2008). 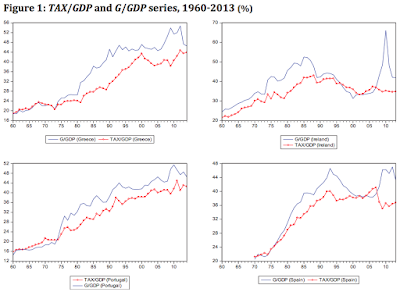 Series on Economic Development and Growth, Vol. 2. 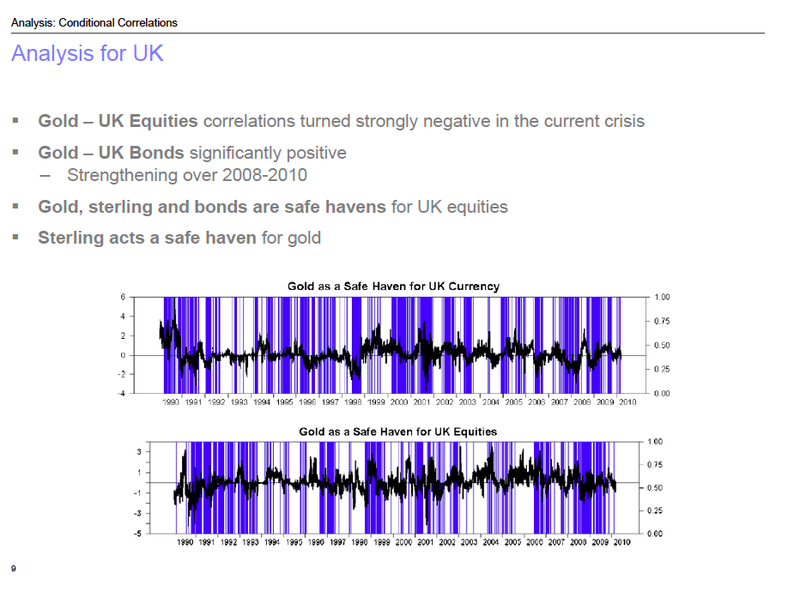 In charts we live... and in charts we delight. Here is a neat summary of global current account balances (horizontal axis) against the rate of change in the current account over 12 months through 2Q 2015. 6th largest surplus: Russia. 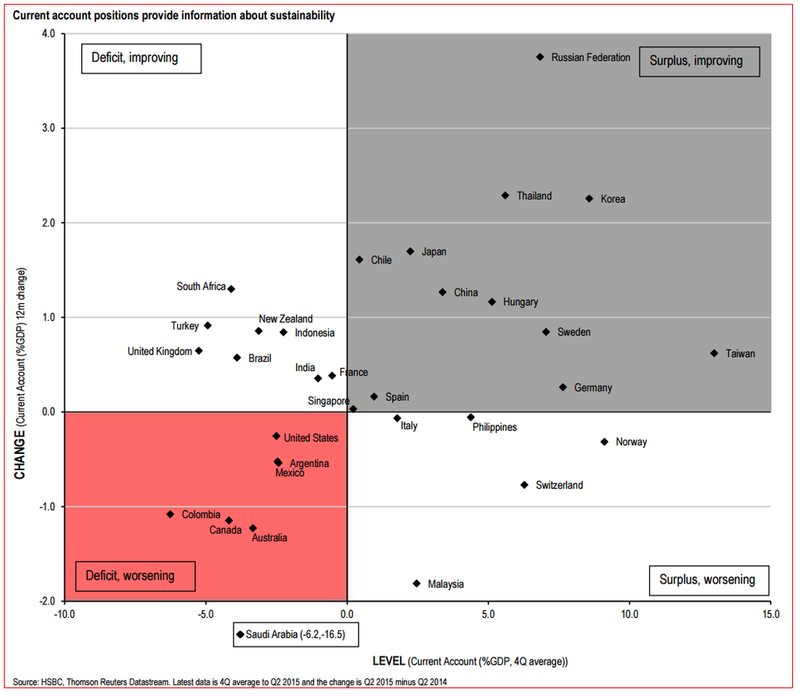 Fastest growth in surplus: Russia. So that petrodollar economy, then... like, say Saudi Arabia?.. Now, think of the favourite theory of 'sustainability' advanced by the likes of the Euro-centric Bruegel and its followers. 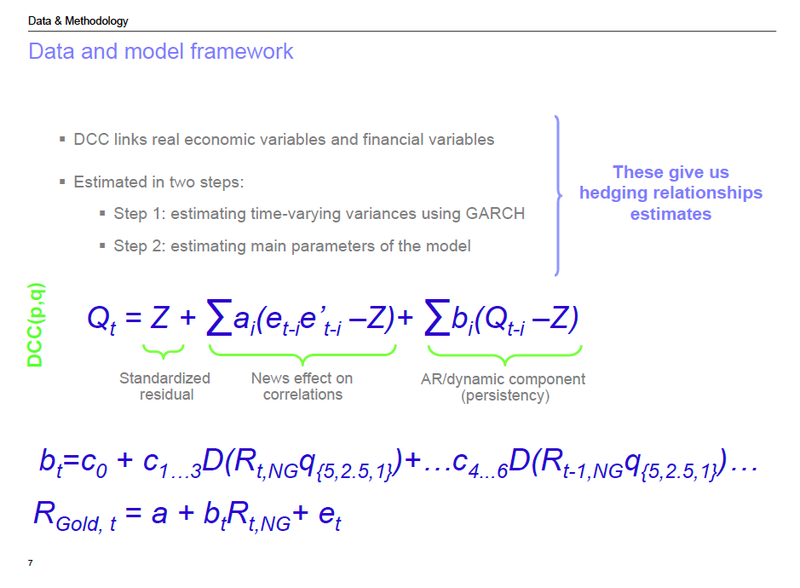 The said theory rests on sustainability being equivalent to medium-term or long-term external balances... either that theory (underpinning most of the official EU economic mantra) off the rocker or... take a look at the chart again. 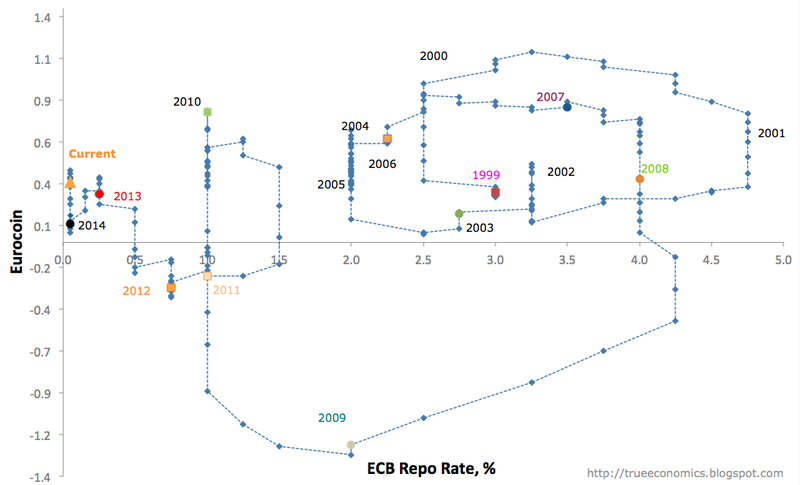 How unique is Ireland within the club of euro peripheral countries? Well, historically, rather unique. Alas, sometimes for the reasons not entirely in our favour. 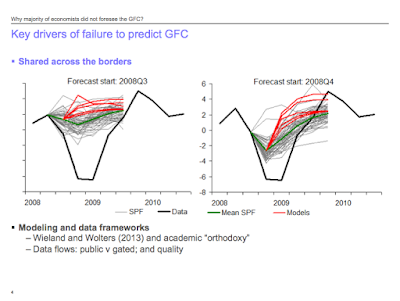 euro area stressed countries: new evidence from non-linear models with state-varying thresholds”. 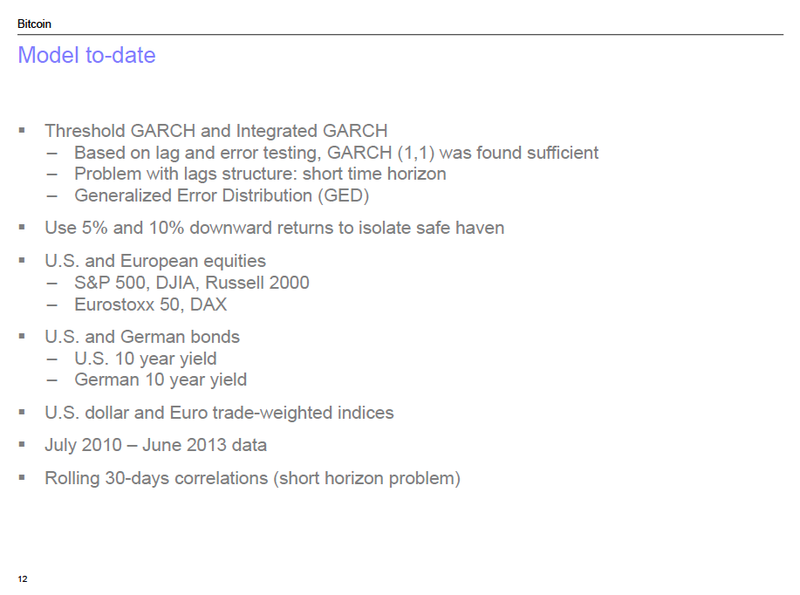 Of course, ‘historically’ here means over the period 1960-2013 for all countries, with exception of Spain (1970-2013). 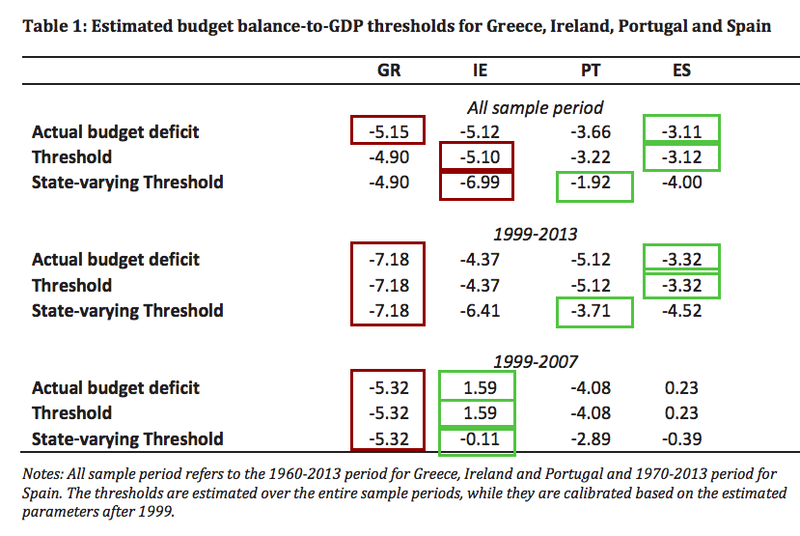 In other words, Ireland had the greatest tolerance - over the entire period - for deficits, opting to wait until average deficit as % of GDP would hit above 5.1%, well above Greece (4.9%) and the rest of the peripheral states. The above basically boils down to the following: since 1999, growing economies of Ireland and Spain allowed two countries to substantially reverse pro-cyclicality of deficits and significantly reduce thresholds for budgetary actions. This did not happen in Greece and Portugal. While Ireland gets a pat on the back for pre 2007 period, it is hardly unique in this achievement. 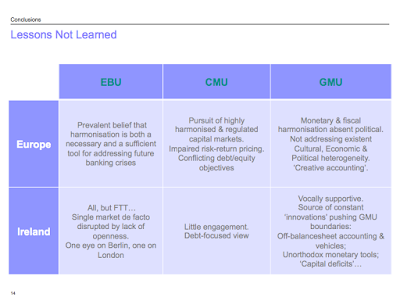 In other words, we were not unique in the way we handled the underlying structure of public spending imbalances, despite having substantially reduced the fiscal action thresholds. 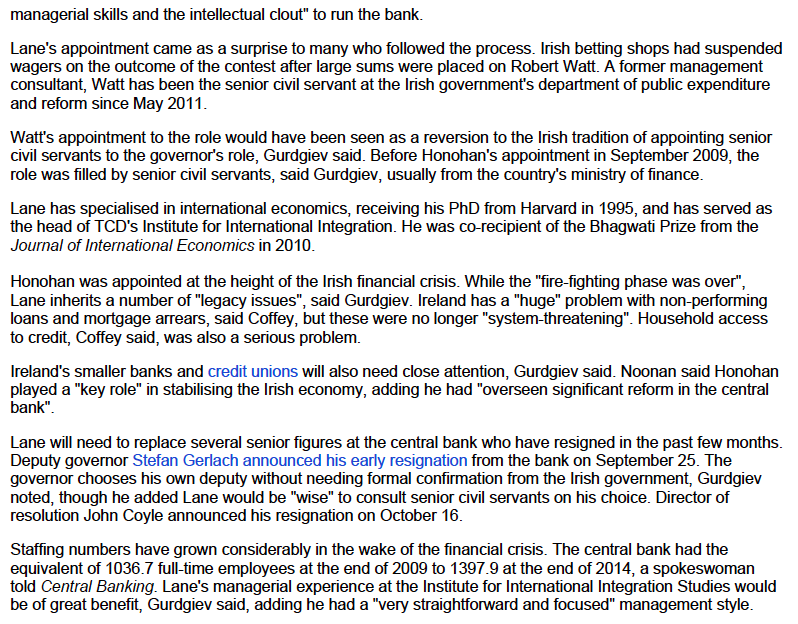 Which, once more, does not really identify Ireland as a ‘unique’ case amidst the imprudent (but learning) peripherals. 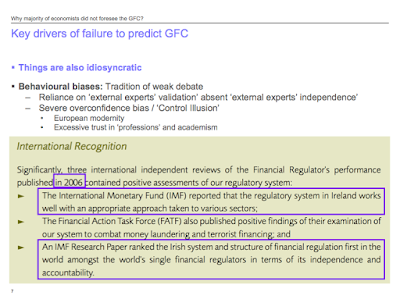 “The results …suggest that during a financial crisis the fiscal deficit-to-GDP threshold was relaxed from 5.10% to 6.99% in Ireland and from 3.12% to 4.00% in Spain, while it was reduced from 3.22% to 1.92% in Portugal.” In other words, Irish Government thresholds actually worsened in the financial crisis, albeit most of that worsening is attributable to the Government decision to rescue Irish banks. 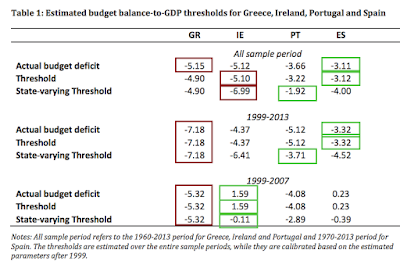 Overall, as table below illustrates, Ireland has managed to perform best during 1999-2007 period in fiscal adjustment thresholds terms, while Spain was the overall best performer in 1999-2013 period and over the entire sample. My handy addition to the chart are red boxes (highlighting worst performers) and green boxes (best performers) when it comes to budgetary adjustment thresholds. You decide to will flip a coin 4 times in a row and record the outcome of each flip. After you done flipping, you look at every flip that “immediately followed an outcome of heads, and compute the relative frequency of heads on those flips”. So far, pretty innocuous from the average punter perspective. But wait. “While, in general, the bias does decrease as the sequence gets longer, for a range of sequence (and streak) lengths often used in empirical work it remains substantial, and increases in streak length.” In other words, while empirical probability does approach closer and closer to true conditional probability, it does so in trials so large (so many coins flips) that such convergence does not make much of the difference in our, human, decision making. And that is pretty pesky for the way we look at probabilistic outcomes and make decisions based on our expectations, whenever our decisions are sequential. 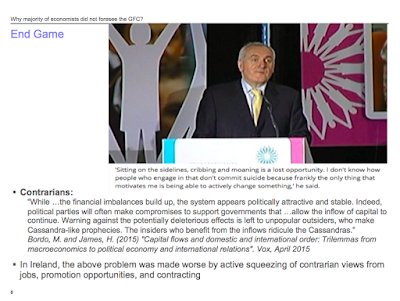 “…People believe outcomes alternate more than they actually do, e.g. for a fair coin, after observing a flip of a tails, people believe that the next flip is more likely to produce a heads than a tails. Further, as a streak of identical outcomes increases in length, people also tend to think that the alternation rate on the outcome that follows becomes even larger, which is known as the gambler’s fallacy”. Per authors summary: “The wedding industry has consistently sought to link wedding spending with long-lasting marriages. 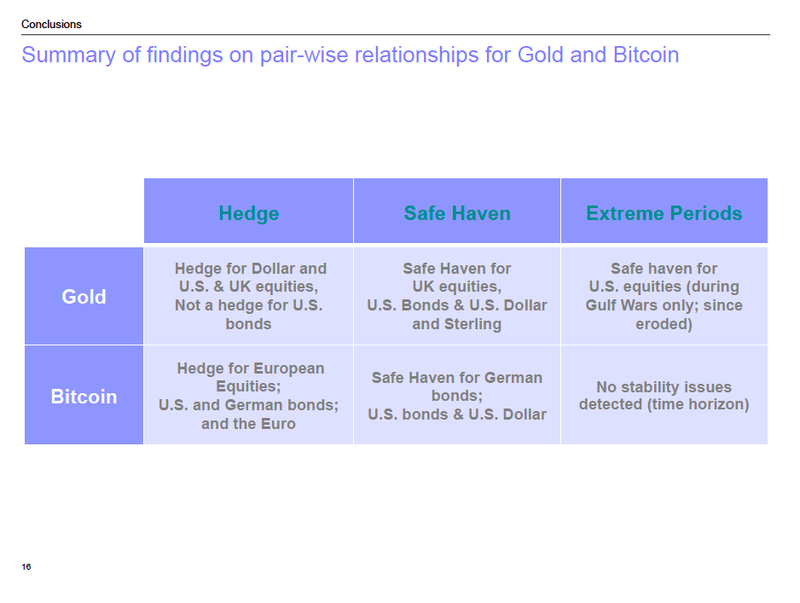 This paper is the first to examine this relationship statistically. We find that marriage duration is either not associated or inversely associated with spending on the engagement ring and wedding ceremony.” Or in other words, you might be able to buy your way into marriage, but you are unlikely to buy your way into a happy union. Full paper: Francis, Andrew M. and Mialon, Hugo M., ‘A Diamond is Forever’ and Other Fairy Tales: The Relationship between Wedding Expenses and Marriage Duration (September 15, 2014): http://ssrn.com/abstract=2501480. 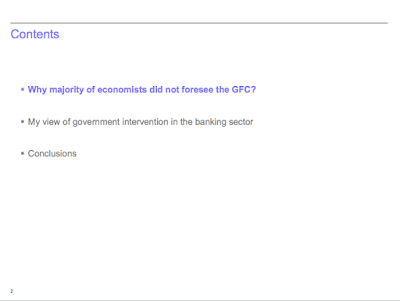 Note, the paper has been since published in the Economic Inquiry (Volume 53, Issue 4, pages 1919–1930, October 2015). 5yr/5yr swaps are basically a measure of market expectation for 5 year average inflation starting from 5 years from today, forward (so years 6-10 from today). 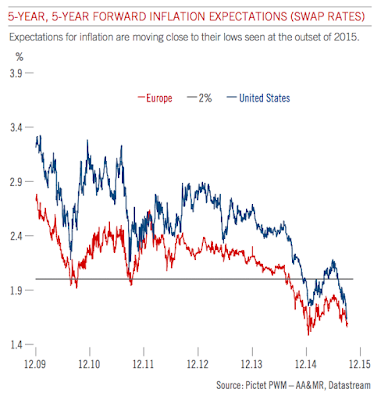 This is a common referencing point for the ECB technical view of inflation expectations, and as the above clearly shows, we are heading for testing January 2015 lows. Here’s Picket analysis (comments and emphasis are mine): “In September, headline inflation in the euro area dipped back into negative territory (-0.1% y-o-y) for the first time in six months. "This weakness must be put into context though as it is primarily due to the steep slide in energy prices. If volatile components (food and energy) are stripped out, core inflation was steady at +0.9% y-o-y. 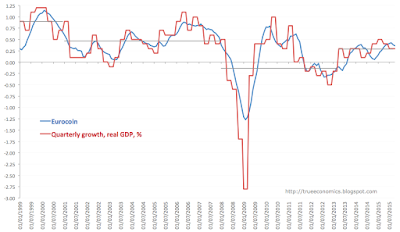 Furthermore, prices of services, which better reflect domestic conditions, rose. "Nonetheless, falling commodity prices, coupled with the rise in the euro’s trade-weighted value, caused the inflation outlook to worsen. Long-run inflationary expectations, as measured by the break-even swap rate, have been softening steadily since early July and have now reached their lowest level (1.56%) since February this year. 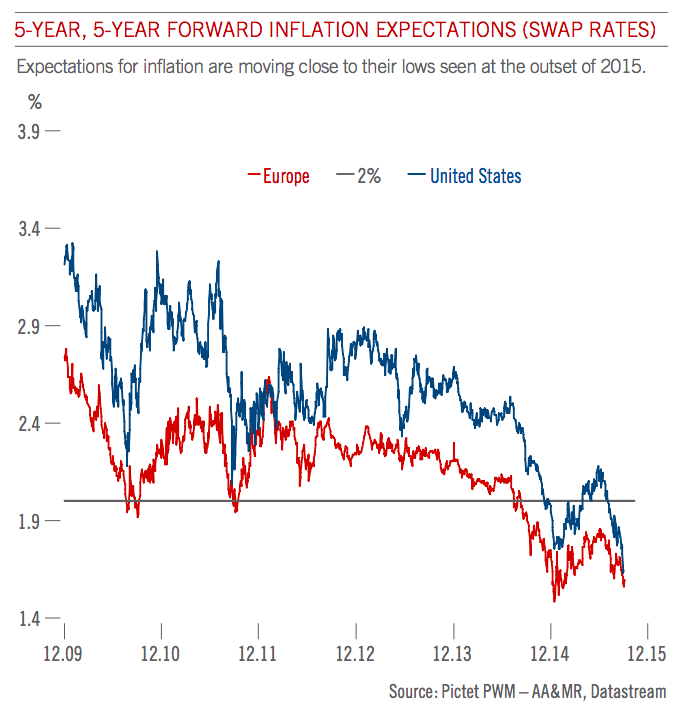 In short, sensible view of inflation - low inflation, per Pictet is helping, not hurting the euro economy. 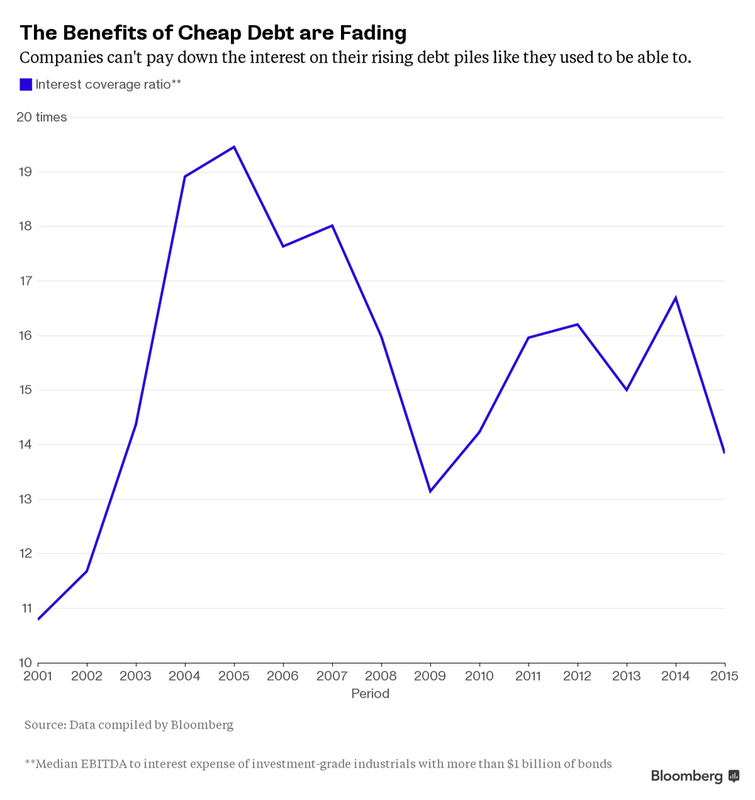 - EBITDA/Interest Expenses ratio is at below 2010 levels (below 14%) despite extremely cheap debt. 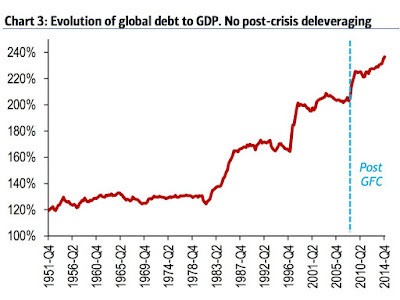 - Global debt cycle has turned – sovereigns are not leveraging as fast or deleveraging, but corporates leveraged up. 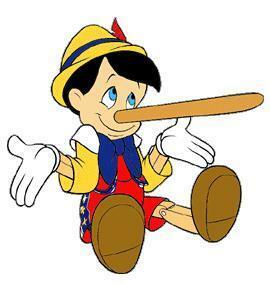 - In this environment – long only allocations are problematic. 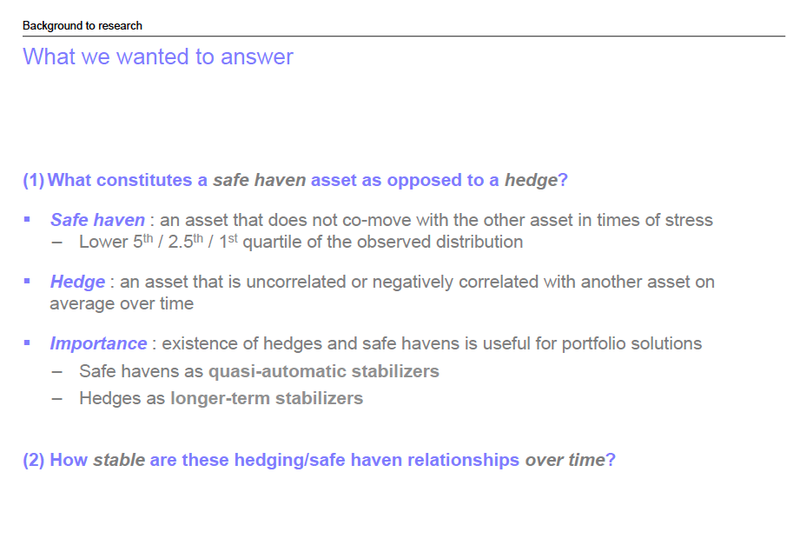 - Again, allocations are highly problematic. 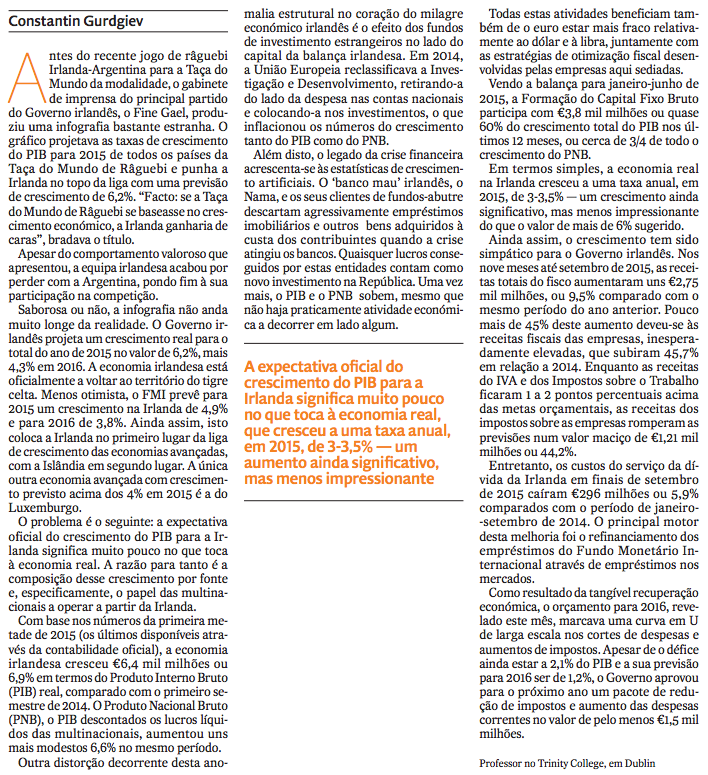 - Emerging and developing economies from 19.55 in 2012 to 14.0%. On inflationary targets and rates: the only way we are going to get to the inflationary expectations consistent with monetary policy normalization, is by literally superficially jacking up prices through Government controlled sectors and/or via regulatory policies. Which is to say that any inflation above, say 1% or so in the Advanced Economies, today, will be consistent with stripping income out of the economy to prime up financials (in the short run) and public purse. 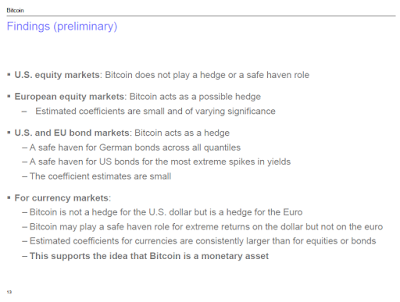 - So expect more volatility on flatter trend. 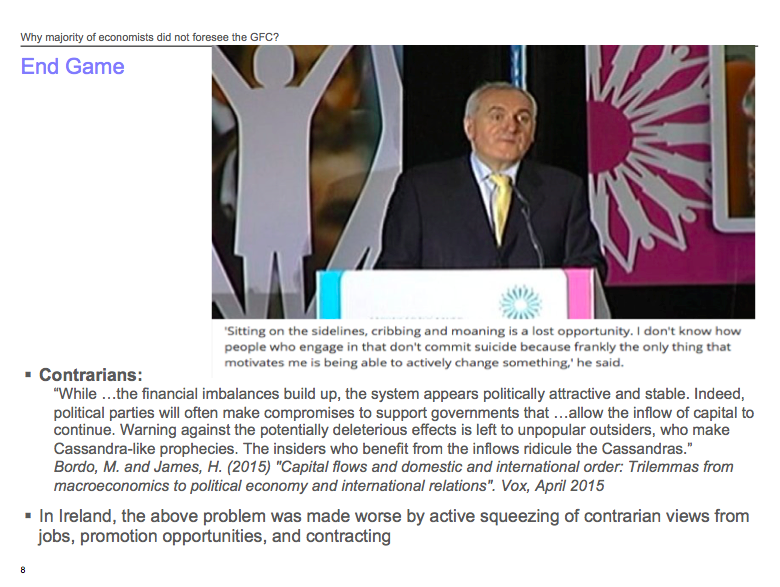 - Economic volatility spilling, increasingly, into political volatility (political economy). 16/101/5: Millennials: A Power Poverty Gap? Having discussed the plight of the Millennials' Generation in global context on numerous occasions, I am too familiar with the problems faced by the current 'younger' middle of demographic pyramid. Hence, not surprisingly, I found this article http://www.independent.ie/opinion/ireland-forces-young-people-to-delay-lifes-milestones-31599496.html to be quite a reasonable summation of the modern reality in which the current younger generations can no longer expect to have better quality of life (measured by more traditional metrics) than their predecessors. I will ignore the set of prescriptive policies at the end of the article - some make sense, others largely represent well-intentioned economic sentimentality. But the key issue is an important one. And here is a counter-part piece on the Millennials trends in the U.S.: http://www.nielsen.com/us/en/insights/reports/2015/millennials-in-2015-financial-deep-dive.html. 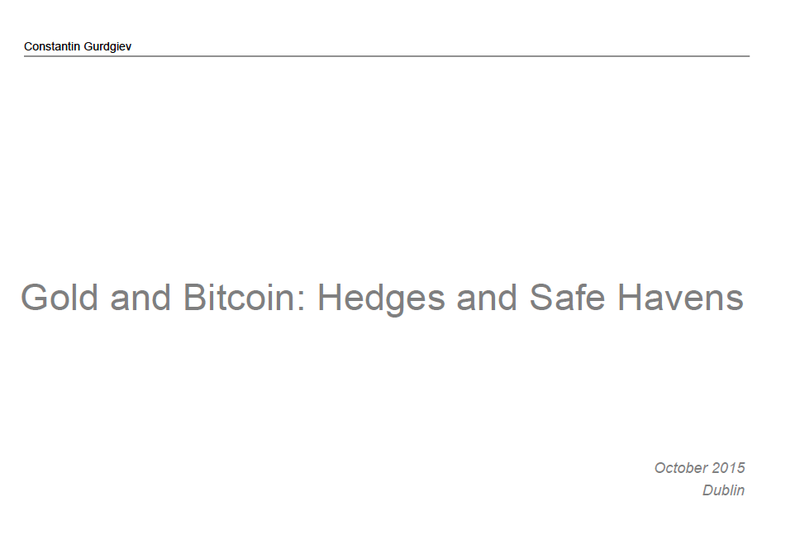 This week, I spoke at a joint Markets Technicians Association and CAIA seminar hosted by Bloomberg, covering two recent research projects I was involved with on the role of Gold and Bitcoin as safe havens and hedges for other assets. 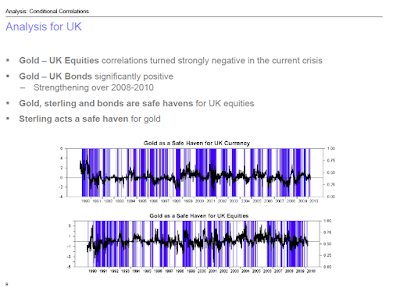 A caveat to the above, we are seeing increasing evidence that Gold's hedging properties may be changing over time, especially due to increased financialisation of the asset. In this context, it is worth referencing a recent working paper by Brian M. Lucey et al linked here that I also cited at the seminar. 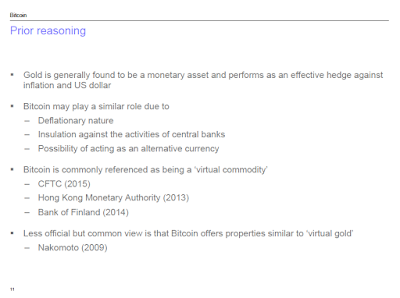 The Bitcoin section is based on a work-in-progress paper with Cormac Ennis: "Is Bitcoin like Gold? 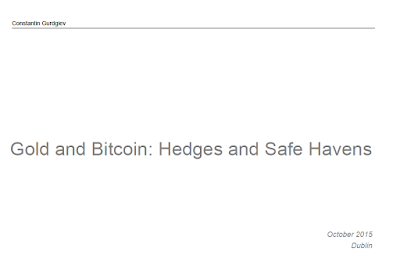 Hedging and Safe Haven Properties of the Virtual Currency". The results of presented below should be treated with serious caution as they are extremely preliminary. 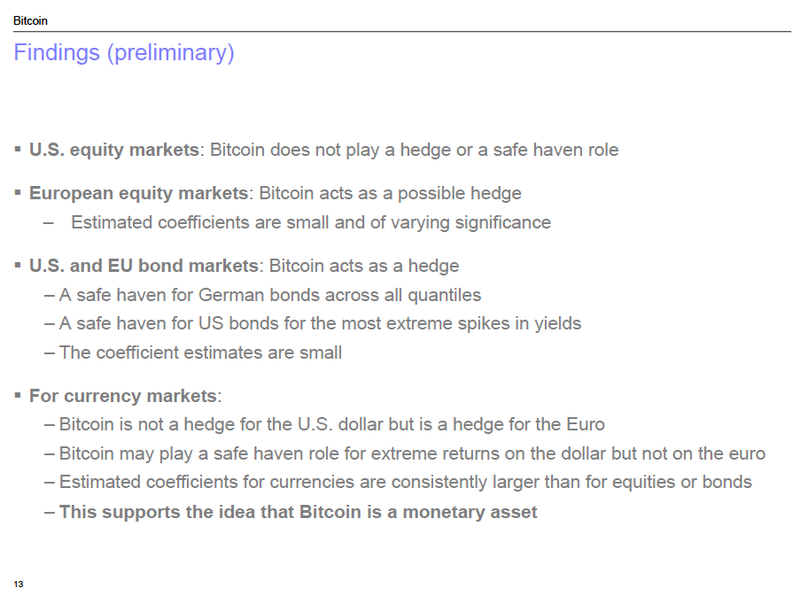 Potential effects on data quality reported for Bitcoin from a small number of high profile pricing events, such as technical glitches and supply/demand shifts linked to large exchanges-linked events (e.g. 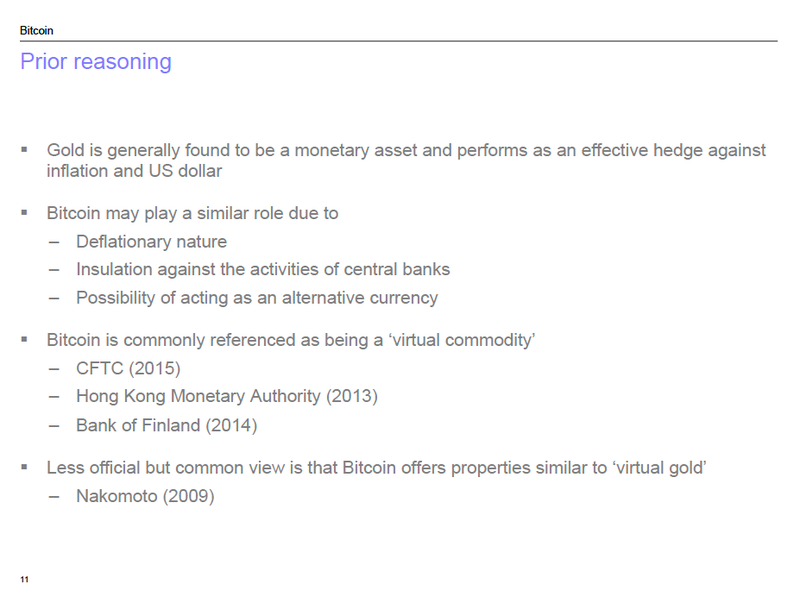 MtGox).